Today’s lineup of Honda models is more diverse than ever. Beyond classic sedans and coupes like the Civic and Honda, the automaker features crossover SUVs, pickups trucks, and fuel efficient hybrids. 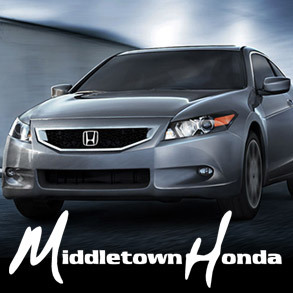 If you like the sound of a diverse, affordable and well-equipped car line, Middletown Honda is a Honda dealer near Scotchtown ready to help. You have probably noticed us by Gander Mountain, right off of US-17. Visit us at 520 Rte 211 East in Middletown, New York, which is only about five minutes from Scotchtown. We carry new Hondas, used Hondas, and used vehicles from a number of major automakers. We always maintain an extensive vehicle inventory in order to meet the needs of all our customers. If you are looking for something specific, start your search here. We are committed to helping you keep your vehicle running for as long as you like driving it. Our professional parts and service department is set up to meet all your needs. Come in for routine maintenance or major repairs. When you need a fast and easy auto loan, we have got your back. We have streamlined the process so that it takes just a few moments to fill out an application, and you get your decision back fast. Even if you have bad credit, we are prepared to make you an offer. We really do love our customers, which is why montly car specials on new and used vehicles, service, and more throughout the year. Saving big money takes just a few clicks. Why pay full price when it is this easy to pay much less? Let us show you what a customer-focused auto buying experience is like. If you are coming from the Scotchtown area, the drive takes less than five minutes to reach Middletown Honda. Stop by to meet us, and, if you are ready, take a look around our dealership.